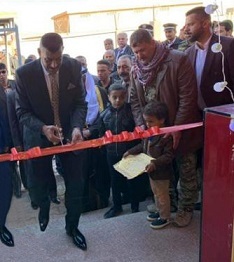 The Rafidain Bank congratulated the people of al-Baghdadi district of Hitt province in Anbar province on the occasion of the return of security stability and reopening its branch in the area to provide services to customers. The bank reopened the branch of al-Baghdadi in the area in the presence of representatives of the bank and a number of officials and tribal sheikhs in the province. Which will greatly reduce the burdens of employees and retirees in the province. It will also provide liquidity and carry out all other financial transactions.